The SR-45, as the successor to the popular SR-50, maintains the same amount of power with decreased weight. Alongside single-load transportability, the SR-45 decreases fuel consumption with its new Tier 4f engine and provides precise rig control and remote monitoring with DMS. 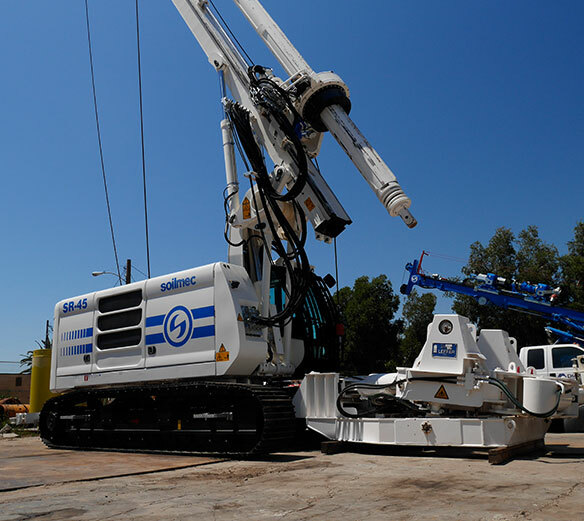 Like all Soilmec rigs, the SR-45 is self-assembling and easily transportable. 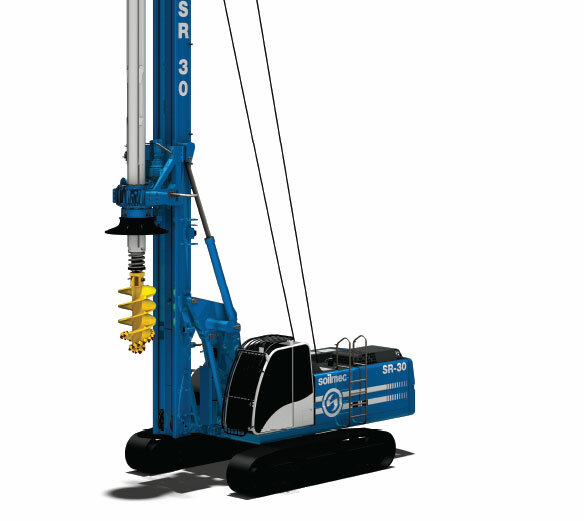 The new SR-30 EVO is the evolution of our most popular Soilmec rigs in today’s North American drilling landscape. Since its introduction 20 years ago as the first highly capable rig that could be transported in a single load, the SR-30 has established a reputation as an agile, compact and easily-transportable workhorse. 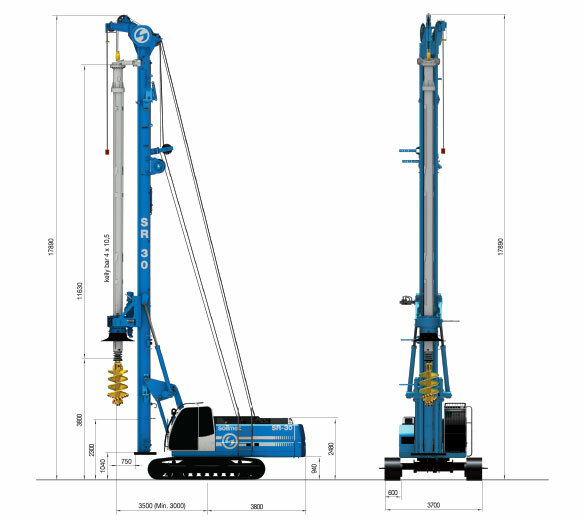 The rig has increased rotary torque and has a new wider operator cab, faster pull-up and crowd functions, incorporated in a package almost 2 tons lighter in weight. Transported complete with Kelly bar allows for quick rig up/down making it perfect for those who need to work in small and medium job sites. The latest model of the SR-30 continues this legacy, with a new Tier 4f engine, DMS, offering unprecedented power and versatility in a compact self-assembling rig. 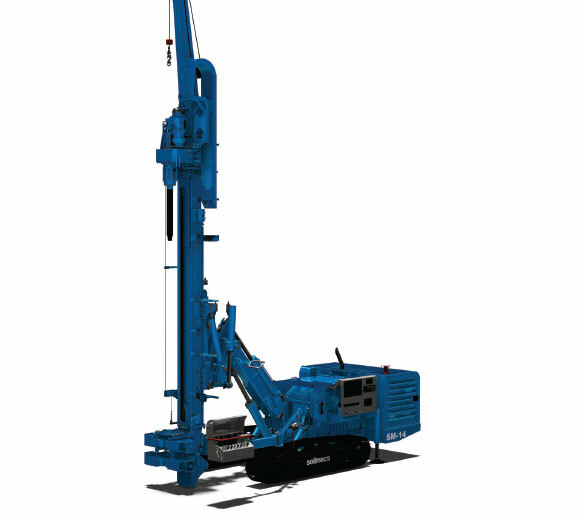 Soilmec SM-14 is a multipurpose drilling rig. 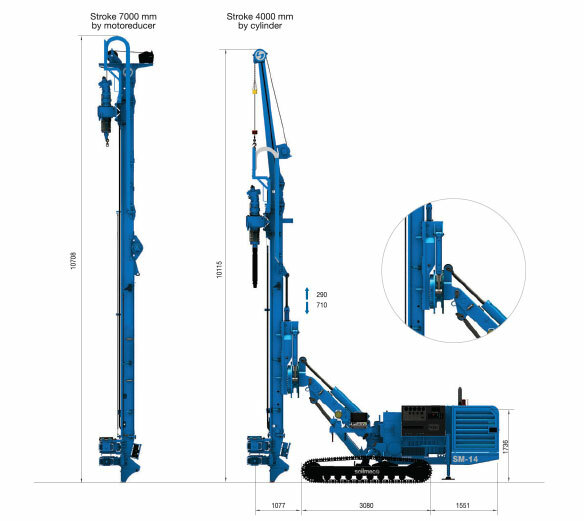 Its modular design is engineered for the execution of: Micropiles, Tie-backs, Jet-grouting, Drain, Water wells. 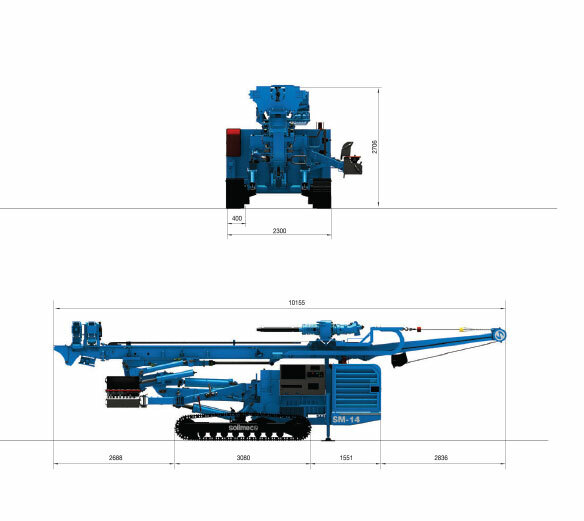 The rig is fitted with proportion al, hydraulic servo-assisted controls that make the operations smooth. Featured with Load Sensing System, it has lower running costs and a reduced wear and tear on components. 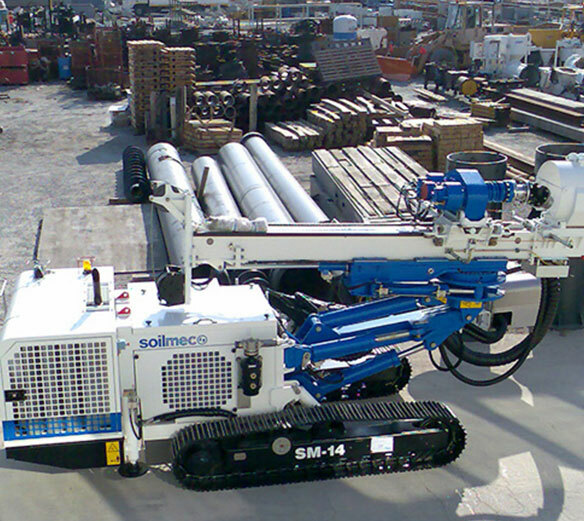 Soilmec SM-14 versatility unit that can be tailored to any customer need or geological conditions. Available with a wide range of rotary heads ranging from 800 daNm to 2500 daNm (special attachment for each HR are available).